Prevention is an essential aspect of your oral health. By practicing good oral health habits and visiting your dentist regularly, you can reduce the potential for decay, disease and damage to your precious smile. Preventive care includes things such as cleanings and exams, as these types of treatments help to catch issues early on and prevent larger issues later. Preventive dentistry can be overlooked by patients or seen as unnecessary. However, we caution against waiting until a problem arises to visit the dentist. It is far easier to maintain a healthy smile than restore one after years of neglect. You can avoid spending extensive time and money if you invest in preventive care early and often! Dental cleanings – Routine cleanings are necessary to have a healthy smile and ensure that your teeth, gums and mouth are being maintained thoroughly. Regular examinations – We will examine your teeth, gums and mouth to check for any abnormalities, signs of oral cancer, cavities and more. Patient education – Our doctors deeply value education and seek to empower patients by sharing their knowledge. They will help you to establish at-home oral health care routines that will keep your smile healthy in between visits. Dental sealants – Dental sealants are used to protect teeth and prevent cavities. Oxyfresh breath treatments (fresh breath treatment) – If you suffer from bad breath, we offer easy treatments that can help resolve this issue. Mouthguards for athletes – Mouthguards help you to protect your smile while you play sports. 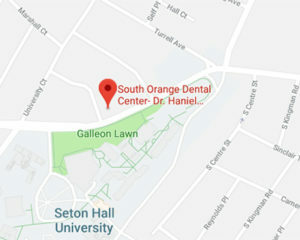 South Orange Dental Center is your home for complete oral healthcare. With over 30 years of experience, Dr. Rosemond and Dr. Strachan are experts in general, family, restorative and cosmetic dentistry. We treat patients of all ages, whether you’re 1 or 100! Our family dental practice is here for your family.